Iced tea is a classic summertime beverage. Summertime is short where I live, and folks tend to make the most of every ray of sunshine. There’s no need to get clever with this… time’s a-wastin’, and we need to get outside! Go boil some water, grab a few mason jars and a few scoops of deliriously cold ice cubes. We can be outside in the warm sun in ten minutes, keeping cool with this refreshing, minty-tart drink! Step 1) Cut frozen cranberries in half with a paring knife. Step 2) Steep peppermint and cranberries in boiling hot water for 10 minutes. I use my French press coffeepot for this. Alternatively, you could tie your peppermint and cranberries in a piece of cheesecloth, and steep in a kettle. You could also just add the peppermint and cranberries “loose” to a pot of boiling water, and then strain through a sieve. So many choices! 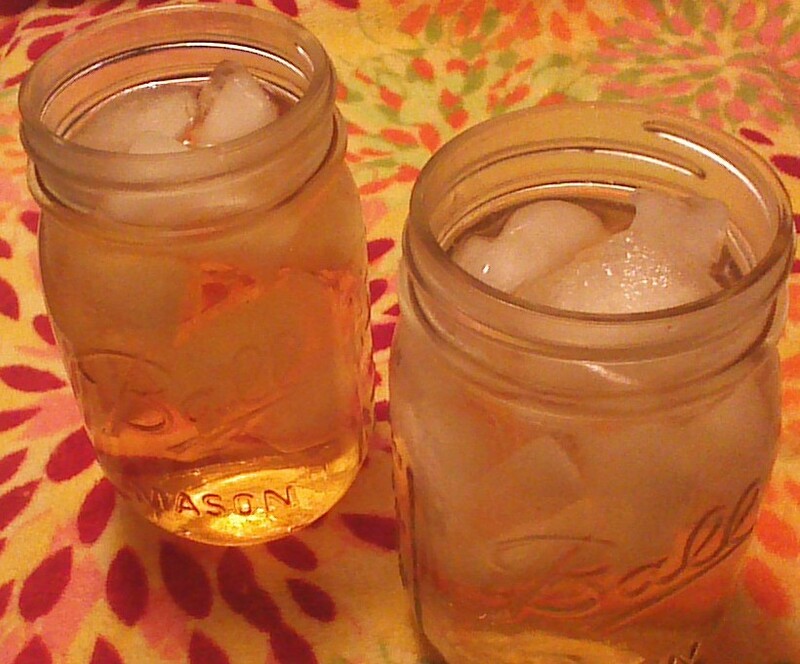 Step 3) Divide ice cubes between two, pint size mason jars. 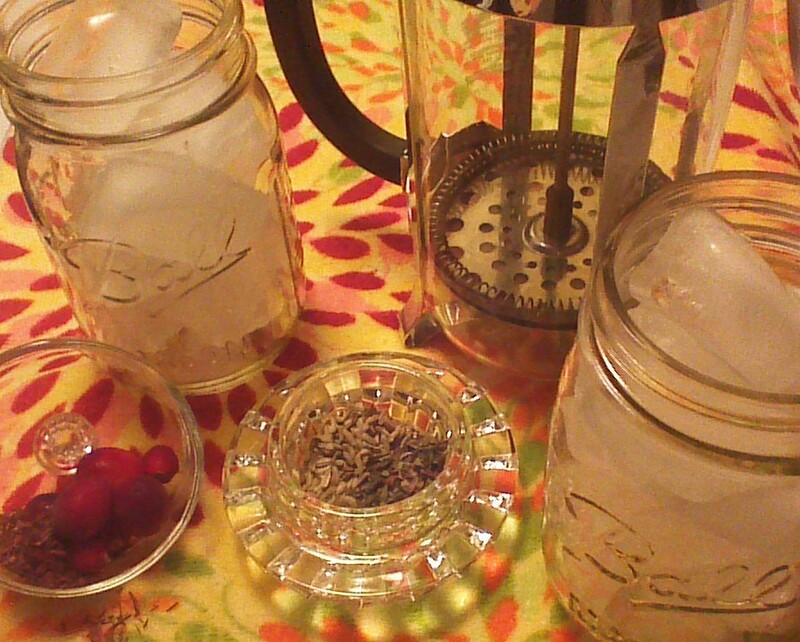 Step 4) Pour steeped tea over ice cubes. Enjoy! This entry was posted in Beverages and tagged Food, Iced Tea. Bookmark the permalink. I think my iced tea might have a splash of vodka in it!